BASH, the default Linux shell, may be similar to a batch (.bat) file. They both run from the command line. They both are created using text editors. They both can launch other computer programs. Explanation: say_hello_to is the function name. And the $1 is the first function argument (Dave, Freddy). Wow! That bbcode works purr-fectly. Image Citation: "Preparing for the dog" By Data. I wrote a BASH script, similar to the BASH sample above. It renders 3D models to animation frames from the command line. So, I plan to use the gallery to embed the animation in the forum, similar to cat animation above That, if there are no objections. Otherwise, I can use YouTube to host it. I may wind up using YouTube any way. Rather than just the animation, the process of BASH rendering animation from the command line may be captured with a screen capture program. Nice to hear from you, Data. Funny comment, Carl! Thanks for your interest, anyone else reading. There are many great things to learn in Linux. I think BASH is a great place to start, if you are new to Linux. BASH is similar to batch files you may have learned in DOS/Windows. It is fair to say that BASH is more powerful than batch files in DOS/Windows. Not to put down batch files in any way, because they will always be terrific. But, for learning purposes, PowerShell is the fair comparison to make to BASH. So, if you are a Windows user saying, "That's Linux, I'm not going to use that." Please, go ahead and use the Windows Linux subsystem to test BASH on this discussion thread. The good news is that making comparisons is no longer necessary. Windows 10 has a Linux subsystem with BASH. So now, Windows users and Linux users have a lot in common. Blender animation via BASH. Dimensions: 640x360 pixels. Filesize: 150.8KB. 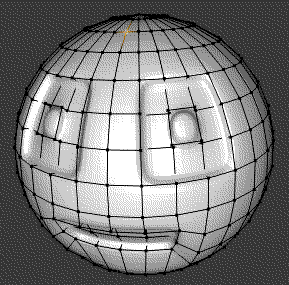 I have to admit that this is all new to me but I can say that Blender has rendered that really well via BASH. Blender is widely reported to work great in Windows, Linux and Mac. You get 3D modeling, animating, modifiers, materials, textures, 3D scenes, lights, cameras, character rigs, and much, much more in Blender. Everyone knows there is quite a learning curve. But, the good news is Blender is FREE. New 3D animators get high quality for free with Blender. To get new 3D animators started there are free tutorials to learn Blender. I am a Blender fan and I'm already converted - so far I've done all my commercial models in it. It's a rewarding program once you start to figure it out.